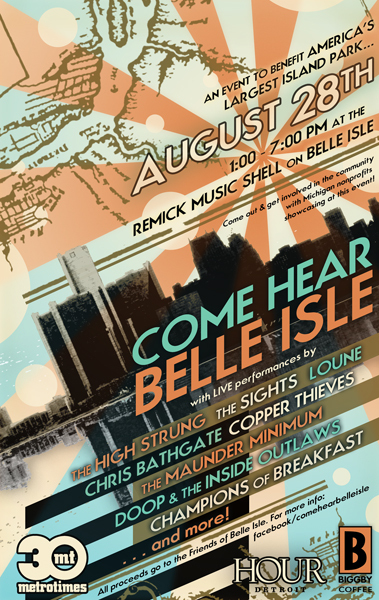 This Saturday, August 28th is the Come Hear Belle Isle benefit, from 1:00-7:00. Inside the Remick Music Shell on Belle Isle, this show boasts some of our favorite local bands, a number of Michigan crafters, and non-profits from all over Detroit to help you get more involved in the local community. The music line-up is impressive – The Sights, Champions of Breakfast, The High Strung, Chris Bathgate, Loune, The Maunder Minimum, Doop & The Inside Outlaws, Copper Thieves and more. Free to the public (but donations are encouraged), and a great way to re-experience the city’s island park, with all proceeds benefiting the Friends of Belle Isle! 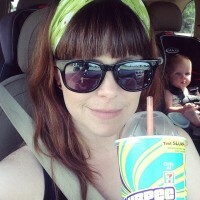 Suggestion: Stop by before or after visiting the People’s Art Fest to make it a double whammy Detroit artist day! For more info on Come Hear Belle Isle, visit the Facebook page!